Niamh O Dea's injury was a big blow to Clare. Photograph by John Kelly. Greater experience allied to the loss of key Clare forward Niamh O’Dea with a shoulder injury were key factors as Cork scored a comfortable win over Clare in the Munster senior camogie championship semi-final at sun splashed Cusack Park this Saturday evening. 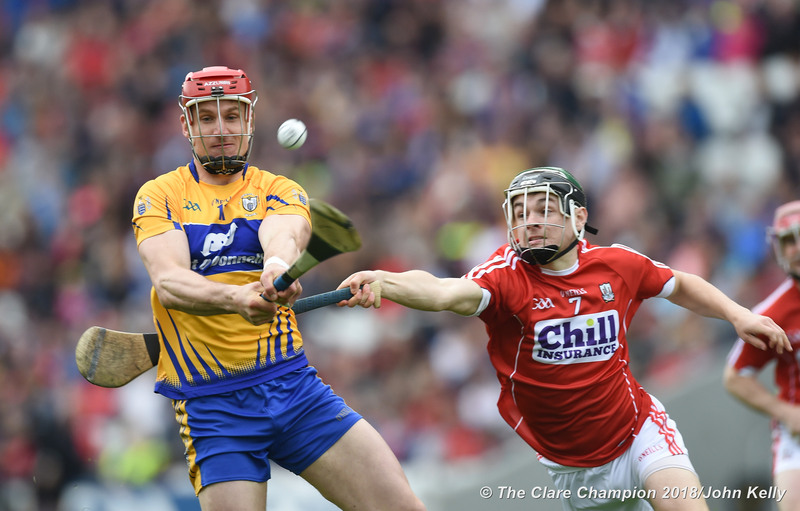 From the outset the visitor’s experience was evident but Clare took the game to the favourites in the early stages and trailed by just a point after ten minutes when the score was 0-4 to 0-3. The winners had added 1-1 by the end of the first quarter and this was still the position five minutes later when Niamh O’Dea suffered a shoulder injury which ended her involvement in the game. 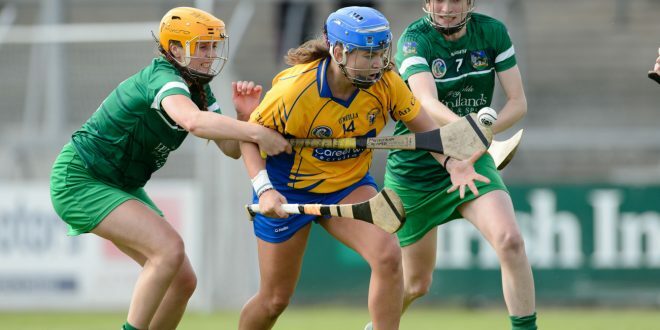 The loss of the dual star was a massive blow to Clare but they were still in a good position at half time when they trailed by four points,1-4 to1-8, the home side’s goal having come from Doireann Murphy after she had taken a pass from Chloe Morey. 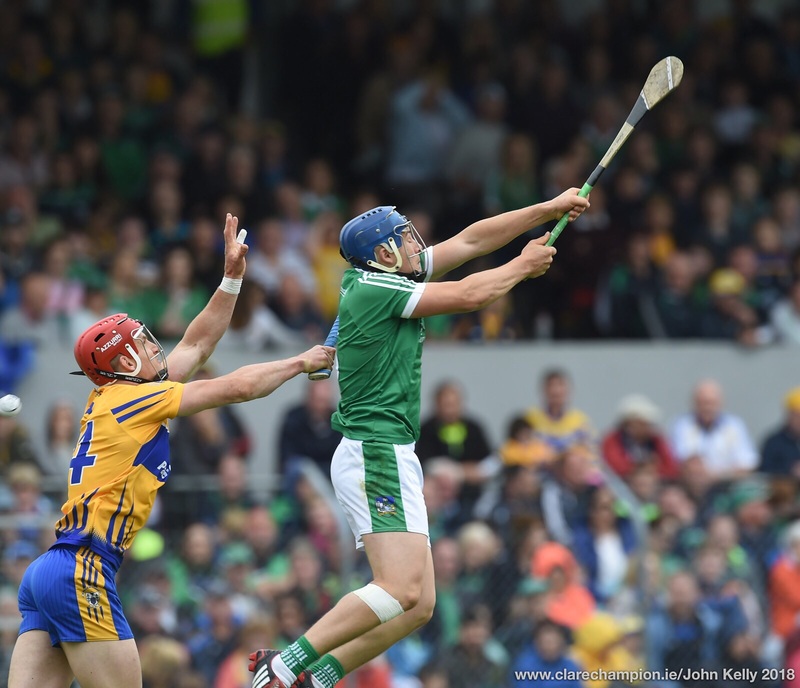 Cork piled on the pressure on the resumption and added four points without reply in the opening six minutes. The visitors seemed to be able to pick out a team mate easier and their combination play was quite impressive throughout. 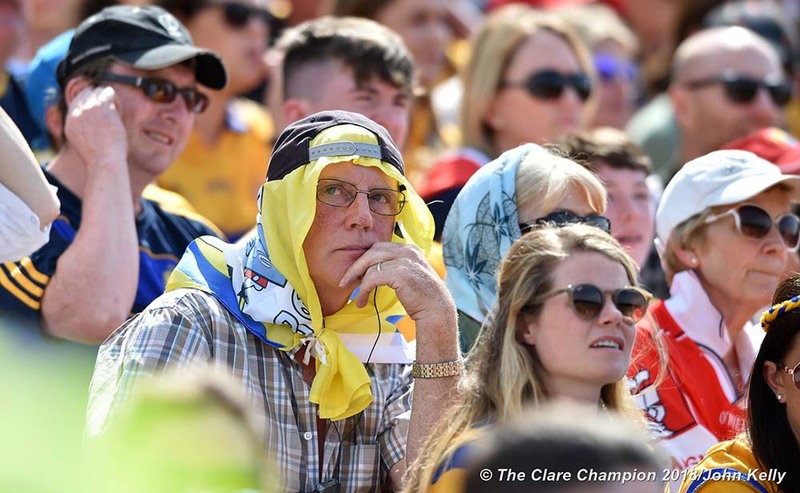 Clare will be disappointed with the manner in which their challenge faded and will readily admit that they will need to show a big improvement before the race for the All-Ireland championship begins in four weeks time when Clare will travel to Pearse stadium in Salthill to play a fancied Galway side. In addition to being disappointed with the result, Clare camogie officials are sure to have been disappointed with the very small attendance at this fixture. For Clare who were forced to make one late change to their starting line up when goalkeeper Lauren Solon cried off due to an infection to be replaced by Sarah Loughnane, there were impressive performances from Maire McGrath, Laura McMahon, Clare Hehir, Andrea O’Keeffe and Niamh O’Dea until injured. Subs; Orla Devitt (Eire Og) 0-1 for O’Dea (inj. ); Eimear Kelly (Truagh-Clonlara) for Keating; Regan Conway (Feakle) for Begley.